Okie Joe's Nuthouse operates a storefront in the Willow Shopping Plaza in Enid, Oklahoma. 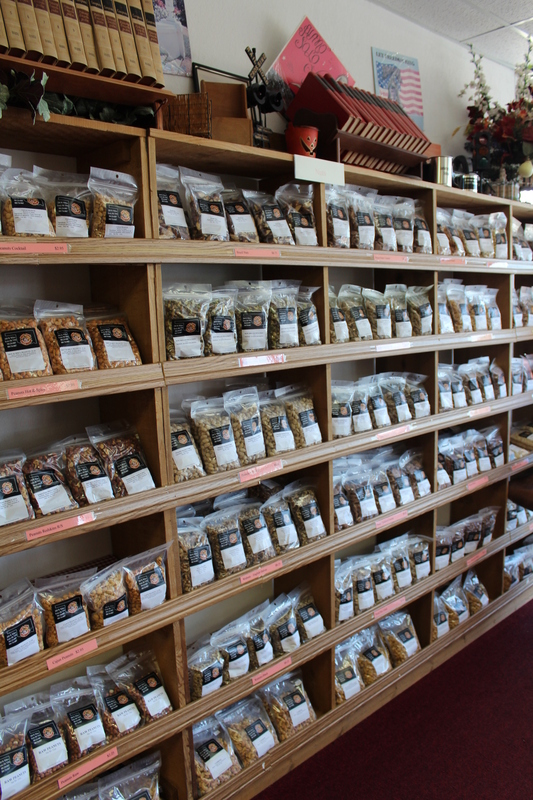 We stock a variety of snack items that include nuts, trail mixes, popcorns, dried fruits and vegetables, salsas, jams, spreads, chocolates, candies and more. Our inventory is ever changing with the seasons. Many of our items are pictured on our web page, but many more items are available in the store. We specialize in catering to your specific needs from gift baskets to nut and snack tins, and gift boxes.